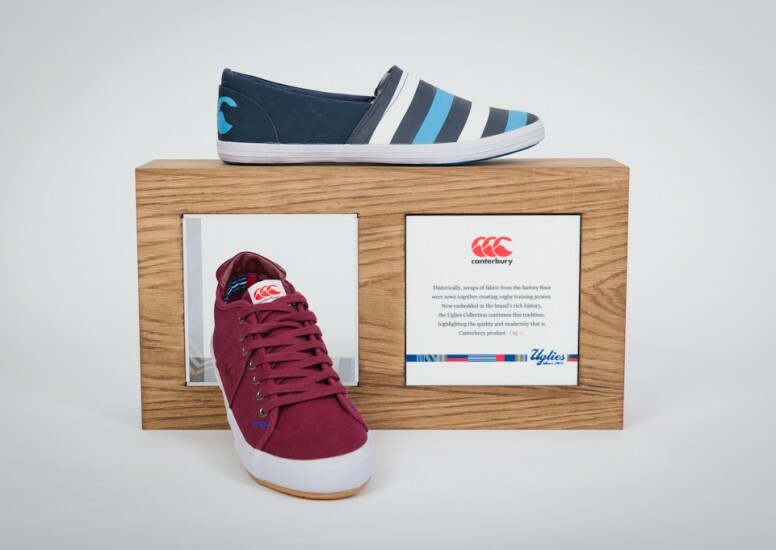 We have produced this set of POP Display for Canterbury clothing to accompany their shoe range which can be seen in a number of retail houses in the UK. Made from a varnished oak finish we designed and developed a floor standing unit, branded shoe riser and a premium and standard wall bay display. Each unit carried the distinctive Canterbury logo and the ‘Uglies’ brand mark. The displays are fun and eye catching and work well as a set of POP or individually. The floor standing display and shoe riser allows the product to be displayed in a quirky manner on different angles and directions. 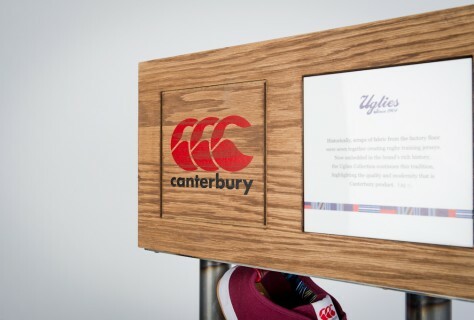 This project has landed on the back of the RFU Twickenham club shop redesign and we are enjoying working with Canterbury and helping them grow their brand at retail.